When you think of Jackson, MS, what comes to mind? For us at Fairview Inn, we think of our urban city, rich history, and wonderful nightlife. The City with Soul offers an eclectic assortment of incredible sites to see. While you’re exploring our Southern metropolis, experience many free things to do in Jackson, MS. From museums to nature preserves, you’ll discover so many fun-filled activities right around the corner from your luxurious accommodation with us! As you search for the best free things to do in Jackson, MS, gain a local’s perspective by requesting a copy of our complimentary Vacation Guide. Our carefully curated travel planner provides our top choices for area attractions, beloved dive restaurants, and outdoor adventures. You’ll also find the perfect retreat for you and your special someone this year at our boutique hotel! With an array of free things to do in Jackson, MS, you’re sure to find your favorite ways to spend the day in the Deep South. Here are our recommendations for the best places to visit in and around our downtown area! Open Tuesday through Friday, walk around the charming Eudora Welty House. It’s the former home of the internationally acclaimed author, Eudora Welty, who left her estate to the government of Mississippi. When it was handed over, her wish was to preserve the house in the love of literature, not just a memoir to herself. It’s usually an entrance fee of $5, but here’s a local tip — If you visit on the 13th of the month, there is free admission! Nestled in the heart of downtown Jackson, MS, meander through the Mississippi Governor’s Mansion on a free guided tour Tuesday through Friday. You’ll see the grand State Dining Room, the Gold Parlor, and the Green Room and admire the beautiful antiques and historic artifacts. 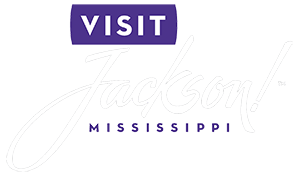 If you wish to find out more about Jackson history, explore other buildings near the Mansion, including the State Capitol, Old Capitol Museum, and City Hall. When you visit the Mississippi Museum of Art, explore the many compelling exhibits lining the walls of this exhibit hall. From ancient art forms to contemporary pieces and every period in between, you’ll be delighted by the various collections of breathtaking art work. Throughout the year, enjoy one of the many events, special exhibits, and even purchase a souvenir from the gift shop! Roll down your windows and feel the breeze on your face as you drive down the Natchez Trace Parkway, one of the most scenic trips in the South! This 444-mile stretch of highway twists and turns from Natchez, MS, to Nashville, TN. In fact, this route has been used for travel thousands of years and has welcomed countless individuals, including Meriwether Lewis, Franklin D. Roosevelt, and Andrew Jackson. On your journey, stop by one of the many historical sites, and park your car to enjoy the overlooks, waterfalls, and hiking trails! Spend the afternoon touring The Oaks House Museum, one of our favorite museums in Jackson. Also known as “The Oaks,” this historic site not only is one of the oldest museums in the city but also is one of the only buildings to survive the burning of Jackson during the Civil War. As you walk around four-time mayor James Harvey Boyd’s estate, you’ll receive an inside glimpse into domestic life at the mid-19th-century farmstead. It’s an eye-opening testament to how technologically savvy that we’ve become since then! Once you’ve experienced our top picks for free things to do in Jackson, MS, you’ll need a place to unwind after your daily adventures. 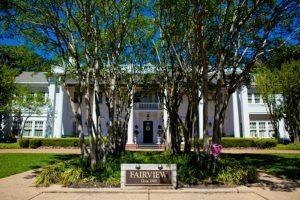 Bring your camera full of photos, thoughts about what you’ve seen, and memories you’ve made back to your beautifully appointed suite at Fairview Inn. Also on the list of National Historic Places, explore our Georgian-style boutique hotel in the heart of downtown Jackson! Period antiques, Southern charm, and inviting atmosphere adorn not only in our lobby, restaurant, and lounge but also in your luxurious guest room. We offer a gorgeous selection of 18 accommodations and invite you to reserve the ideal one for your getaway. Once you’ve selected your intimate hideaway, explore our many specials to enhance your trip in the Deep South. We look forward to hosting you and your partner at Fairview Inn this year!